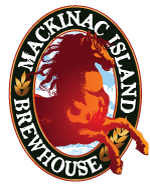 LOCATED ACROSS FROM CONKLING HERITAGE PARK IN MACKINAW CITY! Nonna Lisa's Italian Ristorante is the place to go in Mackinaw City for authentic Italian cuisine. Serving wood fired pizza and speciality pasta dishes. The rustic decor, custom made bar, and indoor waterfall have become must see attractions. Visit the Nonna Lisa's website at www.nonnalisa.com. Over 50 flavors of Mackinac Island Fudge, over 60 flavors of popcorn, over 40 flavors of taffy! Devon's Mackinac Island Fudge Company is a family company founded on quality, affordable prices, and friendly service. We believe the customer should receive an excellent product at a reasonable price, buy 2 pounds of fudge get 2 pounds free! Check out our website at www.devonsfudge.com. When you are on vacation, do you like to get out and be active playing sports? How about going fishing or catching some waves on a SUP? Look no further, Rent It Today has all the sporting equipment you will need to rent so you can enjoy your vacation. Find camping equipment, gear for water sporting activities, snorkel & scuba gear, skis, winter sports supplies, and more. Renting sports equipment is an economical choice for families on vacation in Northern Michigan. Seasonal sport items like golf clubs can be a costly investment for equipment that is only used a few months out of the year. Renting those same items during the time they are needed will save you a great deal of money. Need more convincing? A Beer Lover's Dream Come True! Come on in and experience a taste of the 10 microbrew beers we have on draft or enjoy a frothy pint of your favorite in a gold rimmed souvenir pint glass or stein. Create your own six-pack to take with you from over 10,000 bottles that we have available from over 350 microbrews, including our own locally made brews! Have a taste of our seven locally created wines and take a souvenir wine glass with you. A bottle of our wine makes a great gift! Our wines include Lighthouse Red, Mackinac Red, Malbec, Rose Sunset, Pinot Grigio, Chardonnay, and Riesling.